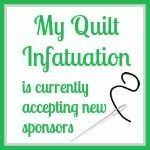 My Quilt Infatuation: May Sponsor News and Four Giveaways! 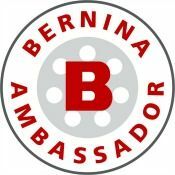 May Sponsor News and Four Giveaways! Well friends, we are officially in the month of the year where summer vacation is so close, I can barely contain myself. My son has fewer than ten days of school left, and I can't wait to live life on my own schedule for awhile. Fun is definitely in the air, so let's keep the mood rolling with this month's fantastic fabric deals and FOUR giveaways! Y'all, there is no doubt in my mind that I have the BEST sponsors! Let's kick off with a giveaway, shall we? 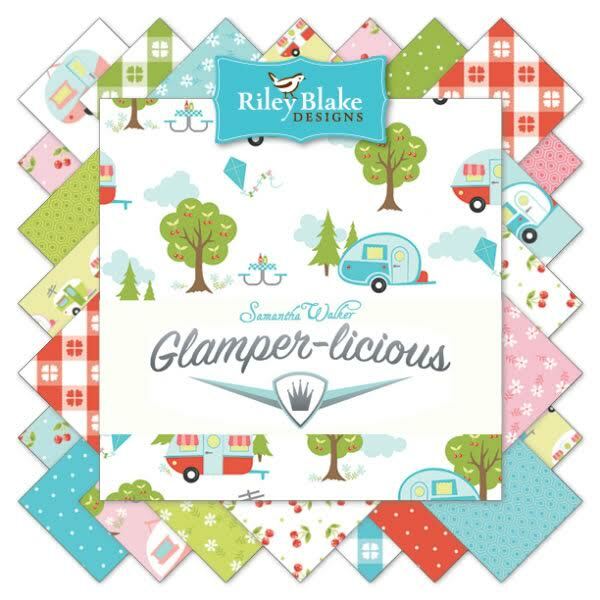 LouLou's Fabric Shop has lots of new markdowns in their clearance section to make room for all of the yummy new collections, like Riley Blake's Glamperlicious! 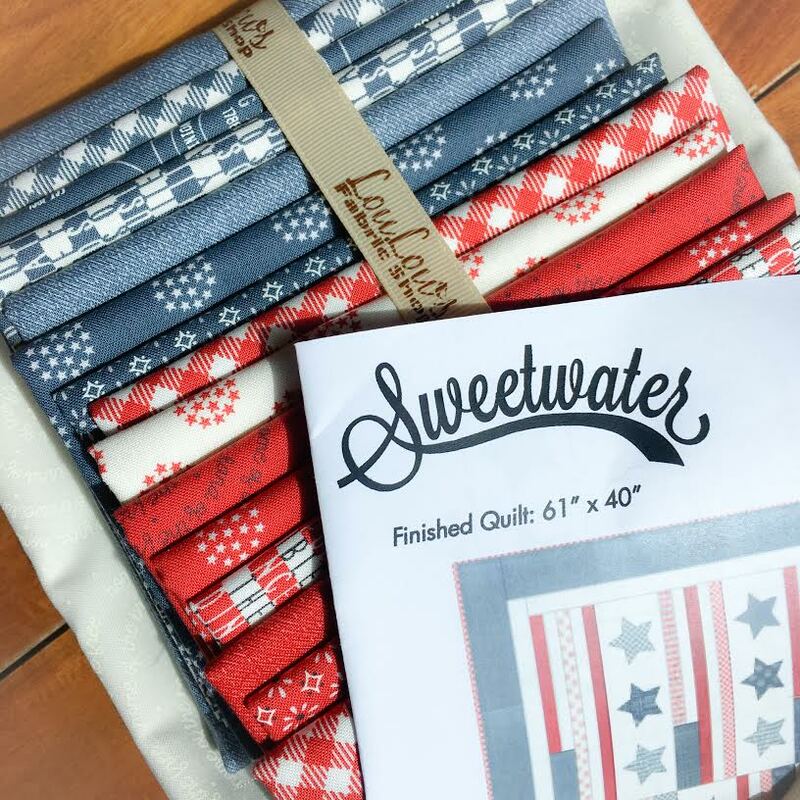 If you're thinking ahead a little bit to the 4th of July, LouLou's is also putting together some fun patriotic bundles that you'll love! Remember, you can always save 10% on any preorder with the code preorder. LouLou's is graciously giving away a $20 gift certificate to spend on whatever tempting goodies you like best. Awesome! Fort Worth Fabric Studio is definitely helping you get into the holiday spirit. I know it seems early, but you'll want plenty of time to get your sewing done before those special days actually arrive; and you know, I always love sewing holiday projects at "off times" of the year. 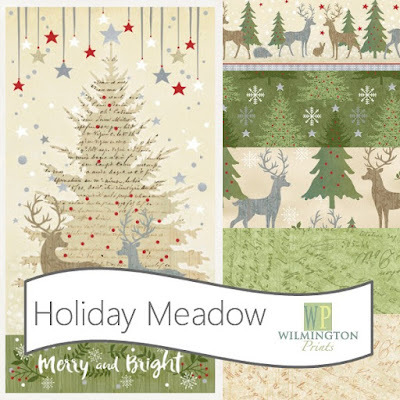 Right now, FWFS is offering 15% off all preorders for this pretty Holiday Meadow collection with the code MEADOW15. I love the softer, more rustic colors, and the text gives the fabrics lots of depth. If you're a Halloween-lover, Fort Worth Fabric Studio has you covered. This fun six pack of fat quarters are great for fun, spooky projects, or at this amazing price, even for black and orange stash building. 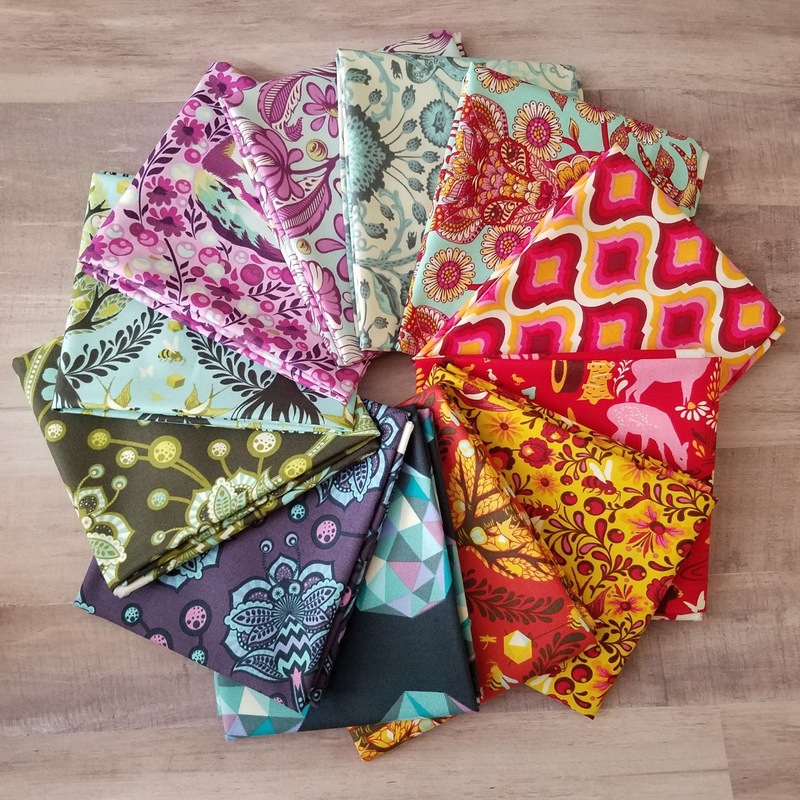 Fort Worth Fabric Studio is generously offering one of these bundles to a lucky reader (US only). Over at Lady Belle Fabrics, there is a major sale going on, but don't delay- this sale ends on Sunday. 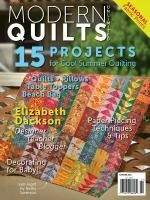 20% off of new bundles, 25% off of quilt kits, and 15% off of precuts is a steal! I'm drooling over this Tula Pink mix-up bundle, as well as Sugar Pie, by Lella Boutique (pictured below). Oh, and don't forget to check out the clearance bundle section too, with lots of amazing bundles at 30% and 40% off. No matter what catches your eye, if you're in the US, be sure to use the code freeship to take advantage of free shipping! 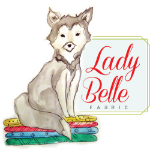 Lady Belle is sponsoring the third giveaway of the day, a $25 gift certificate! 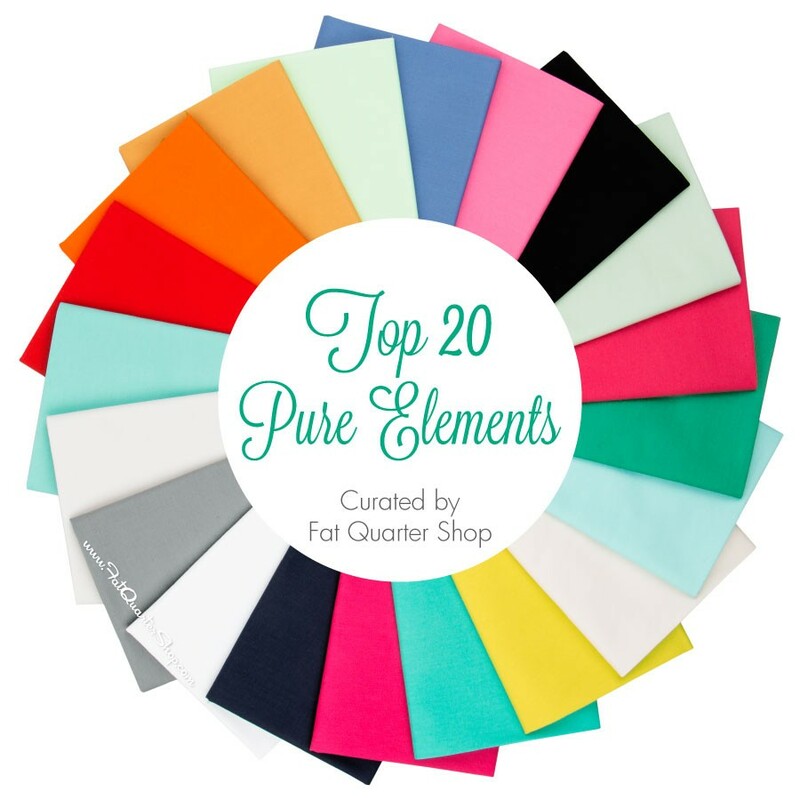 Last, but never least, is Fat Quarter Shop. Did you know that FQS chooses several special items each month, and offers them at 20% off for the entire month? I love to keep an eye on the Basic of the Month. It's a great opportunity to stock up! The Basic this month is Art Gallery Essential solids! They are available in tons of colors as yardage, and plenty of color way bundles as well. Fat Quarter Shop is sponsoring the final giveaway of the day, a Midnight Essentials 10 Karat Mini Crystals. The deep, black on black tones in this set are such a great neutral! Okay friends! I know I've given you lots of exciting info to process, but before you head off to check out my favorite shops, be sure to enter all four giveaways! Leave a single comment on this post to enter all four giveaways, and since one of our giveaways is open to the continental US only, please let me know if you are NOT in the States! Don't worry though, you're still eligible for the other prizes. Remember to leave an email address if you're a no-reply blogger, and only one entry per person please! Unfortunately, replies to your own comment counts as an entry (the system numbers those, too), so remember to put your email address in your comment. Additional replies/comments/entries are always deleted. I'll announce the winners at NEXT week's NTT (May 24th). These giveaways have now ended. I'll announce the winners later today at my NTT post, so be on the lookout! Good morning from Alaska! These giveaways are awesome! Oh again beautiful fabrics and give aways! I am NOT from the states! hello from Vancouver (the "other" vancouver - WA). thank you to you and your generous sponsors for another great giveaway bundle. HELLO FROM MONTANA! THANK YOU FOR ANOTHER GENEROUS GIVEAWAY! Thanks for sharing all these great fabrics. Certainly perfect for some summertime sewing. Glamper-licious is on my Must Have List now! Oh gosh, that Riley Blake Glamping fabric!! I have a friend that would be wonderful for. Thanks for collecting so many giveaways all into one! Great giveaways Kelly, thank you for the chance to win. I am not in the states. Fantastic giveaway opportunities! Thanks for the chance to win. Fantastic giveaways this week. Thanks! Nice giveaways, and greetings from Spain! Only 10 days left?! Lucky! My son still has over a month to go. But, summer is still on the horizon for me. Thanks for all the great giveaways! Wow Great giveaways. Thanks from Australia. Wow, you have shown many gorgeous things here. I am constantly amazed at all the wonderful fabrics that are out there! Thanks for the heads up on your sponsor's sales and this is a great giveaway! I am loving all your sponsors! Thank you for your blog and the giveaways! Thanks so much for the giveaway opportunities! All the sponsors have great prizes, and any of them would be a fun win. Thank you for organizing this--hope you have a wonderful summer! Eyeing these fabric photos definitely makes me want to play with fabric and make something beautiful! You always share the best, Kelly! Wonderful giveaways. Thanks to your sponsors. What a beautiful bunch of goodies you've got going here! Thanks for sharing the abundance....and here's to vacations whenever they may be! We're getting a taste of summer here already. It was in the mid 80's today and supposed to be close to 90 tomorrow. Way too early for temps that high! Wonderful give aways as always! Thanks for the chance to win! What great giveaways! Thanks for sharing info about these great shops and for the chance to win! Lovely! Thanks for the giveaway. Yay!!! I can't wait for summer!! Memphis in May - what a beautiful time of year for quilting! This is an awesome collection of sponsors!! Good luck Everyone! Thank you for the opportunity!! Enjoy the summer freedom and your family! Lots of great deals! Thanks for another great giveaway! Wonderful group of sponsors and giveaways! Wow! What a great opportunity to win a great prize. 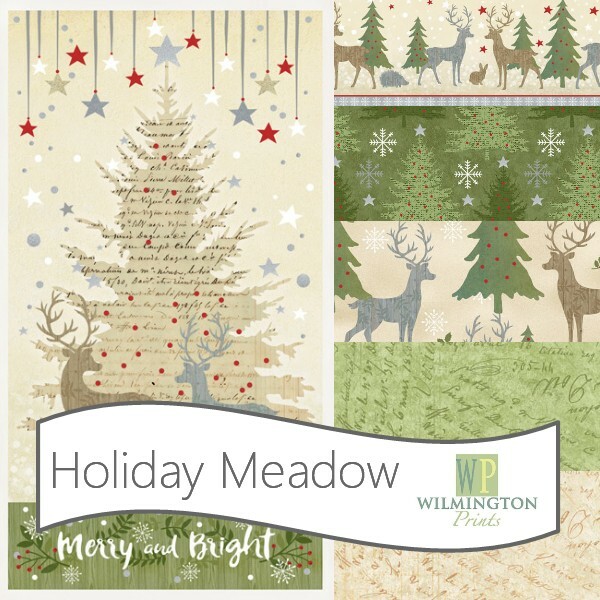 The Holiday Meadow collection looks great. Hi from the UK! I keep seeing posts that there is only a few weeks left of school. Here in Nova Scotia, Canada, school goes to the very end of June. Thanks to you and the sponsors for a wonderful giveaway! Thinking of summer here in Michigan - we're heading to 85 today! Thanks for hosting the giveaway. These multiple give always are fun. Thanks! I'm working on three baby quilts, all using the Sugar Pie line from Lella Boutique. It is gorgeous fabric, and perfect for quilts for little girls! Thanks for offering these giveaways! Awesome giveaways with gorgeous fabrics. Loved the pop star you showed us the other day, just so fun! Thanks for the give away! Yay! Summertime is coming! Thank you for the giveaways! Love all the new fabric collections you are featuring. Thanks for the wonderful giveaways! Beautiful fabrics! Thanks for the giveaways!! Fabulous giveaway and yummiest fabrics.From Spain,Europe. Congrats on making it successfully through another school year. Enjoy your summer :-) These sponsor sites all are offering some beautiful fabric. I'm enjoying checking out their sites. The Tula Pink and the Midnight collection particularly got my eye. Thanks for sharing them! Wow! 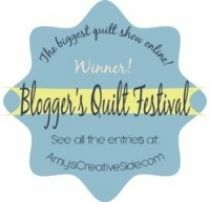 Gorgeous fabrics and great giveaway. Thanks...fingers crossed. Wow, so much scrumptious fabric! 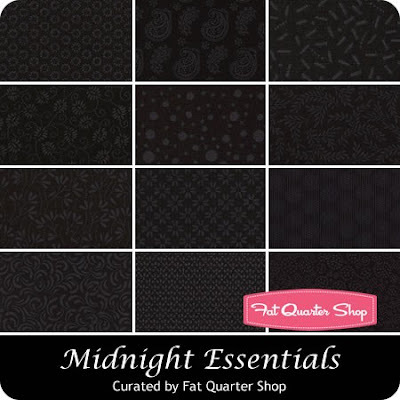 Love the "Midnight Essentials", what a great idea to offer an all black collection! Beautiful fabrics! Thanks for the opportunity. These are all such beautiful fabrics. You are going to have 4 very happy readers. Thanks for the opportunity to try out different fabrics. Wow! I love all of the fabrics. Thanks for sharing some great new lines and for hosting a giveaway. Wishing for summer here. We had hail the other day which never happens on the west coast. Thanks to your generous sponsors and for showing off the wonderful fabrics. I'm in Canada. It would be great to win any of these lovely fabrics! Love the patriotic bundle from Loulou's--so cute! Thanks for a fun give-away! What a nice variety of fabric choices throughout the shops! Great resources. 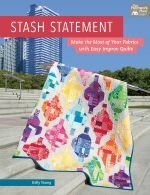 I don't have any Tula Pink fabric yet but that picture you are showing in your blog post is calling my name! Wow! What great colors! I have to head over to the Fat Quarter Shop and grab some Midnight Essentials. Thanks for the heads up. It's never too early to start Christmas sewing - I too am loving the Sugar Pie bundle! Thanks for the chance! In Canada, but you can ship to my aunt in Wisconsin if that helps! Love the giveaways!❤️🌺 My stash would love to have any! These giveaways are awesome! Thanks! I live in Canada. Kelly and all 4 sponsors ...thank you and I've visited all your shops..
Ive not had school age kiddos in many years but recall relishing MY time during summer break. Quilt sew repeat . All great fabrics! Thank you from Canada for all these giveaways. Just Awesome! thanks to you and your sponsors! Lovely fabrics! You have generous and thoughtful sponsers! Thanks to you and your generous sponsors. What great giveaways! Thanks to your sponsors. Who doesn't love a giveaway no matter what company it is from? I know I do! I have followed a few of Kelly's tutorials to make quilts and absolutely love them! When I had questions she was always there to help! Thanks for all of these awesome giveaways Kelly. Yay for great and generous sponsors! I'm from Texas! Yeehaw! Thank you Kelly! I love your blog and your inspiration! 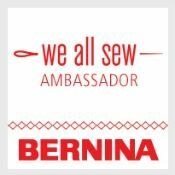 Awesome giveaways and fabric collections. Thanks for the great giveaways. I added Holiday Meadow to my shopping list! I'm in Canada. Wow, lots of great shops and fabrics. Thanks for the fantastic giveaway! Thanks for the chance to win, Kellie! I'm in Australia. Such great prizes--I'd be happy to win any of them! Thanks for showcasing such great fabrics yet again. Even at the end of May, my heart skips a beat to see the Halloween fabrics and then the black on black. Be still my heart, lol. Looks like it is time to start holiday sewing--any holiday! I can't even pick a favorite from all these! Okay...solids! But they are all amazing!! Wonderful give away! 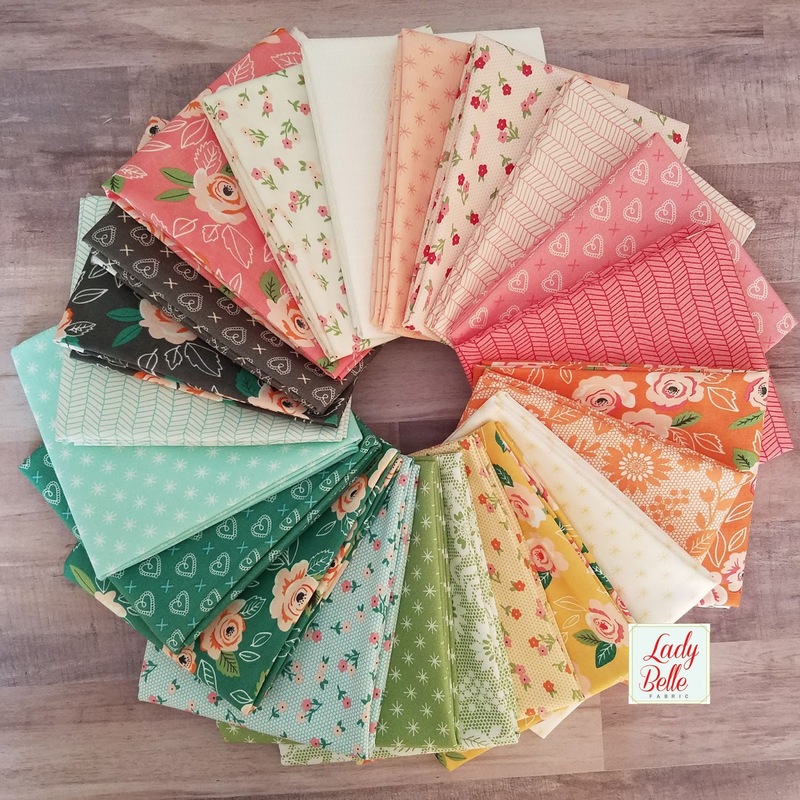 !The Lady Belle fabrics are especially beautiful! WOW, that is a lot of pretty eye candy to digest and I am loving it all! Now I am off to explore those new fabric lines. Wow that is a lot of giveaways! You are just crazy busy keeping this all straight. Thanks so much for all you do. I am looking at fabric at Lady Belle right now so this was handy. I would be thrilled to receive any of the giveaways. Sugar Pie and Midnight Essentials are giving me ideas. Ah, summer.... my favorite time of the year. Great giveaways and all in one place, how sweet is that? Thank you for so many generous giveaways. A BIG USA Thank You!! Awesome giveaways! Thanks so much for the chance! 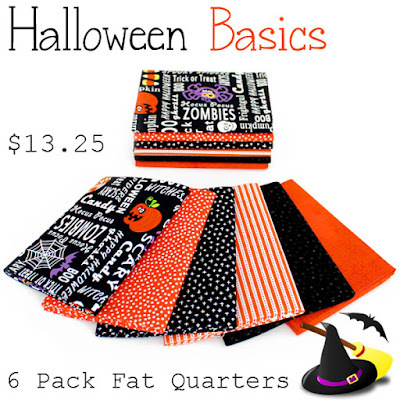 I just love the Halloween Basics, so cute!! Thanks for all the giveaways. I always look forward to the needle and thread Thursday's. Great inspiration. Good afternoon, neighbor! Well, almost...SC counts, right? Thanks for the chance to win beautiful prizes -- and thank you sponsors! Would love to win some beautiful fabric. Thank you for a chance to win. Crossing my fingers - they all look so bright and would look yummy in a quilt! You have very generous sponsors. Those are all such nice giveaways it would be hard to choose. Thank you. Fantastic giveaways! I'm in Canada. Thanks for the chance! Wonderful fabrics! Thank you for the giveaway. Awesome giveaways! Thanks! I love Summer, that's when my grandchildren come and visit. You bring together the most generous sponsors, Kelli! Thanks for the chance to enter. Lots of gorgeous fabrics at all these shops! What a lot of goodies!! Thanks for offering these giveaways! yum! What beautiful summer prints! The Tula Pink caught my eye - I love it. Fabulous Fabrics. Puts me in summer mode. Wow what a great combo of giveaways! I especially love the black on black! I'm in! What wonderful sponsors....great give aways ...thank you! So sweet. Thank you from SC, USA. What wonderful eye candy! 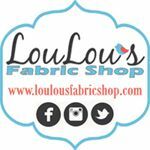 I love the news you share about fabric shops and new collections. And thanks for the chance to win! Wonderful generous sponsors. Enjoyed checking them out. What great sponsors and beautiful fabric! My son only has 4 days of school left! Thanks for the giveaway! Fantastic give aways Kelly! My email is maxineshaw11 at gmail dot com. I've been wanting to make a patriotic quilt, but need more fabrics to get the look I'm going for. I'll have to check out the bundles to see if they have what I need. Thanks for four great giveaways! What a great bunch of giveaways! Thanks so much for the chance. 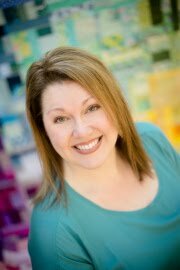 I'm a Louisiana girl living outside of Memphis, Tennessee- a busy wife, mom, author, pattern designer, and counter of blessings! Happy Needle and Thread Thursday!